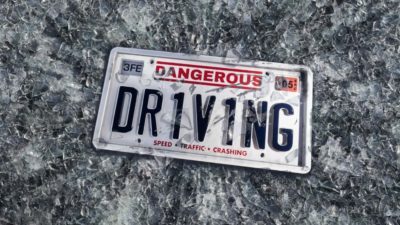 Dangerous Driving is the new Burnout spiritual successor from a small team of Criterion founders and it features all the crashing and speed you’d expect. In some ways, it advances the arcade racing genre though. Here’s everything you need to know about how to use Spotify integration in Dangerous Driving. 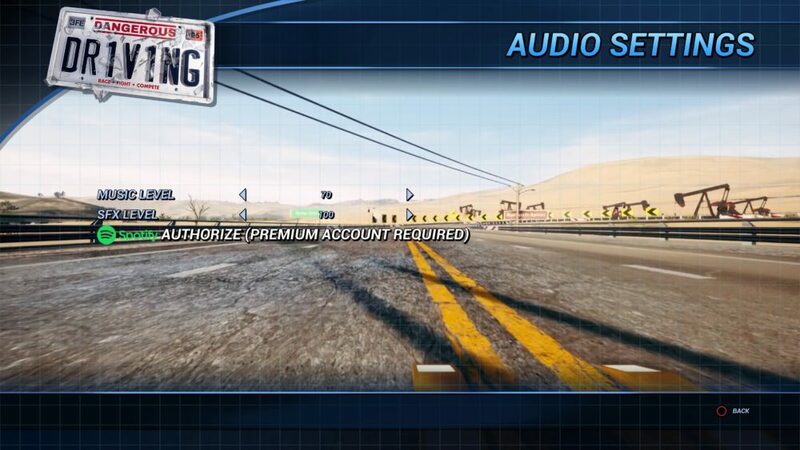 Rather than featuring a set track list like most other arcade racing games, Dangerous Driving features one song that plays in the menus, then allows you to connect your Spotify Premium account to the game to listen to whatever music you would like. Since Spotify integration is the only way to listen to music in the game, anyone who isn’t signed up for the premium service is left out. If that’s you, be prepared to get to know the title music very, very well. If you do pay for Spotify Premium, you use the service in Dangerous Driving by first selecting the Settings option in the main menu, where you’ll see an Audio option. Select that and at the bottom of the list of options, you’ll see the Spotify symbol and the option ‘Authorize’ (Premium Account Required). Select that option and you’ll be given a message. You need to head to the website address on your screen, which is http://spotify.threefieldsentertainment.com/. Once there, you will be asked to input the eight character code that should be shown on the same screen in Dangerous Driving. Once you’ve done so correctly, you’ll be prompted to sign into your Spotify account, using either your Facebook or Spotify specific details. It’ll then confirm that you’ve linked your account to Dangerous Driving, at which point you’ll be able to return to the game and continue playing. Do note, however, that you need to be a Premium member, so any basic account that plays ads will not work in the game. That’s everything you need to know about how to use Spotify integration in Dangerous Driving. For more tips and tricks on the game, be sure to search for Twinfinite.